I wrote a guest post "HOW WE HEAL" for our friend Jonathan Brooks fantastic website/blog: Spirit Bear Coaching. 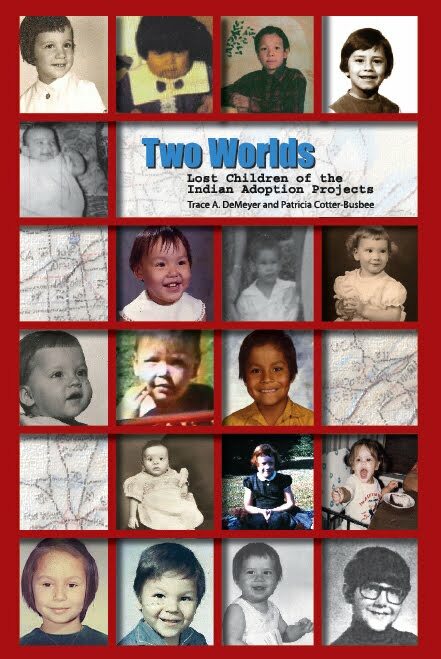 Jonathan shared his incredible adoption journey and reunion in the anthology TWO WORLDS: Lost Children of the Indian Adoption Projects. "How we heal from this history is to know this happened to children. We can find ways to repatriate these children back to their tribes and help them to reconnect. We can unseal their adoption records and enroll these children as members of their tribes. Sharing the truth about the Indian Adoption Projects will assure these governments never attempt this again. That is how we heal." AND Two Worlds has been chosen by Brock University in Canada to be their "BROCK READS" textbook for the 2013-2014 school year, which is a high honor!